Jeremy and I love Memphis. (Duh.) Besides getting married in this wonderful city, we wanted to incorporate Memphis in other ways. Jeremy wore blue suede shoes, our first dance was to an Elvis song, and the best part.... Elvis actually came to our wedding. 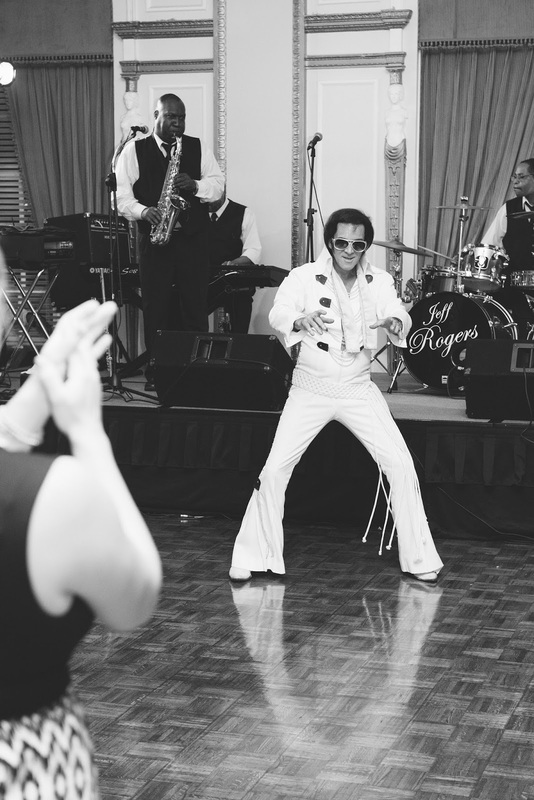 Yes, an Elvis Tribute Artist (don't even THINK about calling them impersonators) performed at our reception. It was amazing. Everyone, northerners and southerners alike, thought Elvis was just a hoot. He really was. He was only supposed to perform for an hour and he ended up hanging out with wedding guests after the reception ended! A fun little tid bit... Ben (my little cousin & ring bearer) didn't really know who Elvis was before his trip to Memphis. 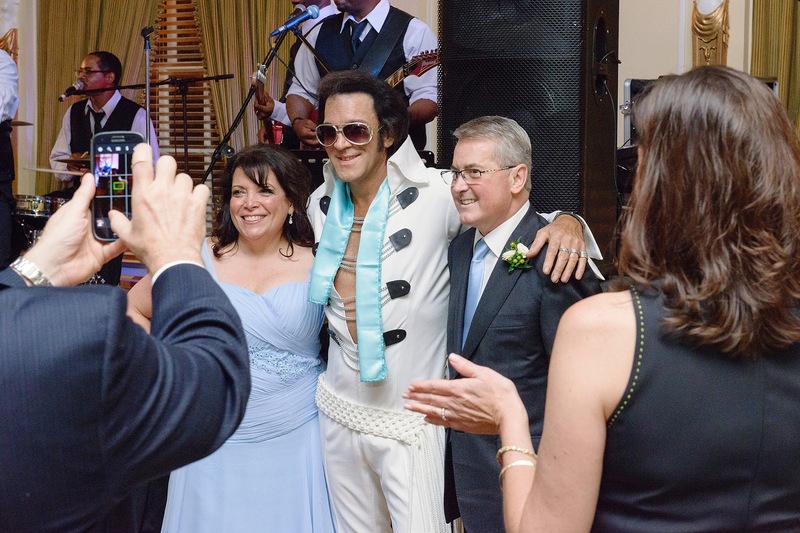 Before the wedding, he went to Graceland and to the Rock n Soul museum and learned all about Elvis. Well, that day, an Elvis fan was born. 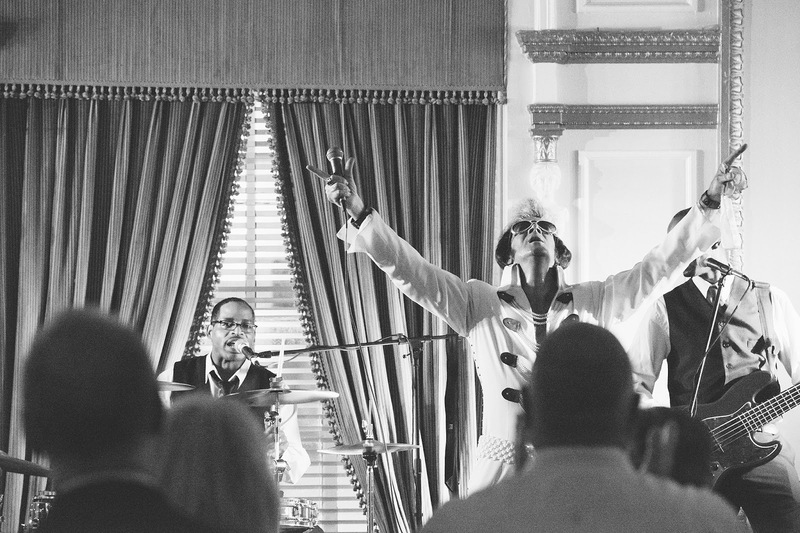 When Elvis started singing at the wedding, Ben couldn't take his eyes off him! It was the funniest, cutest, sweetest thing ever. Elvis even gave him an autograph which Ben was so happy to show me. Apparently, since he's been home, he still can't shake the Elvis obsession. It's pretty awesome. I LOVE this! I know your guests must have loved this part of the wedding! How fun! What a great idea! I love Elvis! My younger sister even bawled when he died. 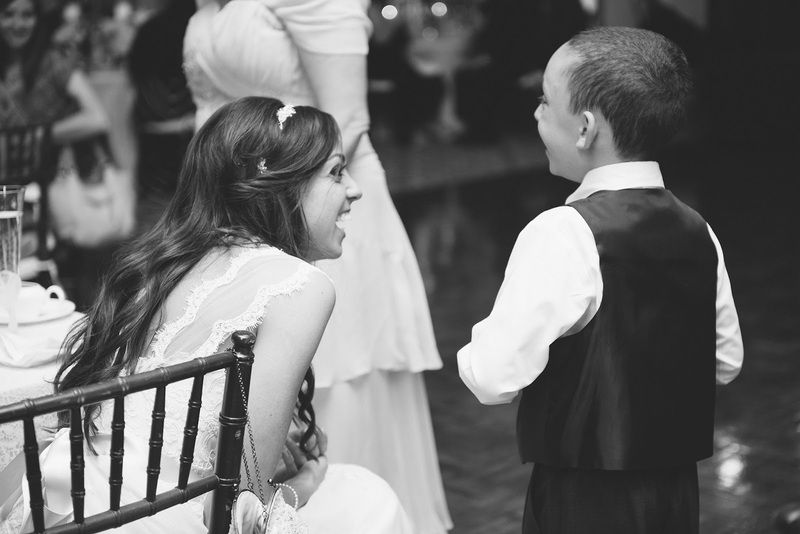 Beautiful photos, especially the one with the ring bearer. How AWESOME!!! What a fun idea and I love how much Ben enjoyed it!